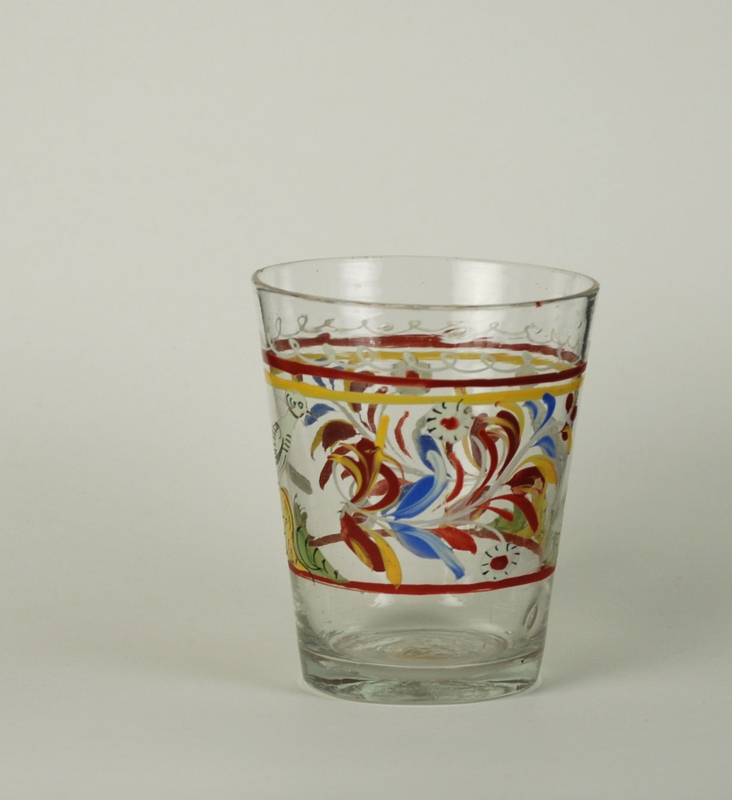 This beaker may have been made in Germany or in America by a German glass blower. The pictures are of the front and back. The cap that screws onto the metal fitting is missing. Colorless enameled bottle with screw top and cap. 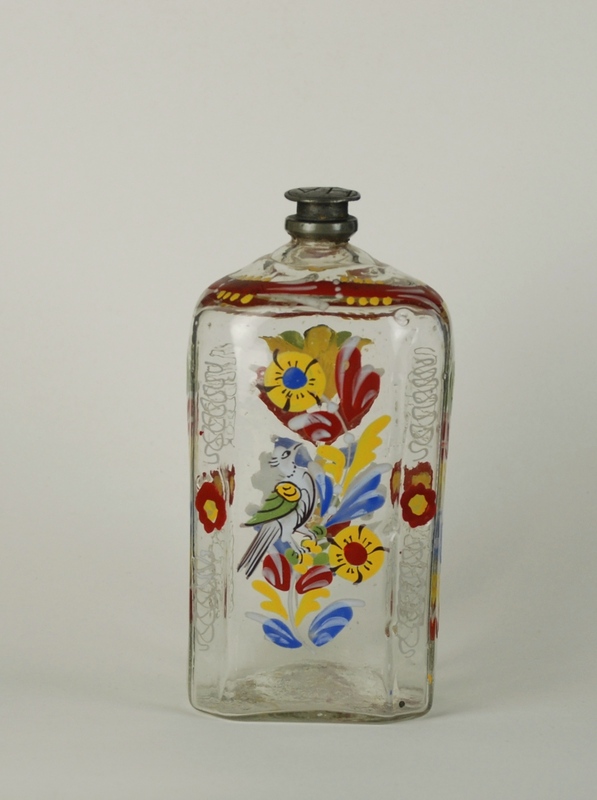 Enameled bottles of this type were produced in Bohemia, South Germany, and Central Germany and later in the US. Half-post method used in production.